Dsai organised for the first time a trip for patients between 14 and 20 years of age that took place in May 2015. 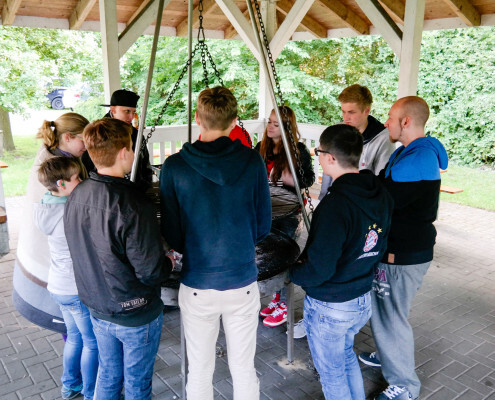 The teenagers and two tutors met at a youth hostel in Alfsee, Rieste, and spent the weekend together participating in different activities and sharing experiences. The main events were a go-kart race and a barbecue dinner but the most important part of the gathering was the exchange of experiences of what it means to be living with a Primary Immunodeficiency. The young patients had the opportunity to discuss issues that are sometimes easier to address with others who go through similar things than with family or friends. One of the tutors, also a PID patient, gave many tips for handling their everyday life. The adolescents went back home with strengthened self-confidence and have been in close contact since that weekend.